Wordless Wednesday–Summertime Blues and Yellows! As summer winds down, the Spoiler and I took a day trip to the Connecticut shore. This sculpture was in a garden just off a sidewalk. It caught my eye as we were talking and walking. We debated whether of not it moved. I didn’t think so but he thought it must. 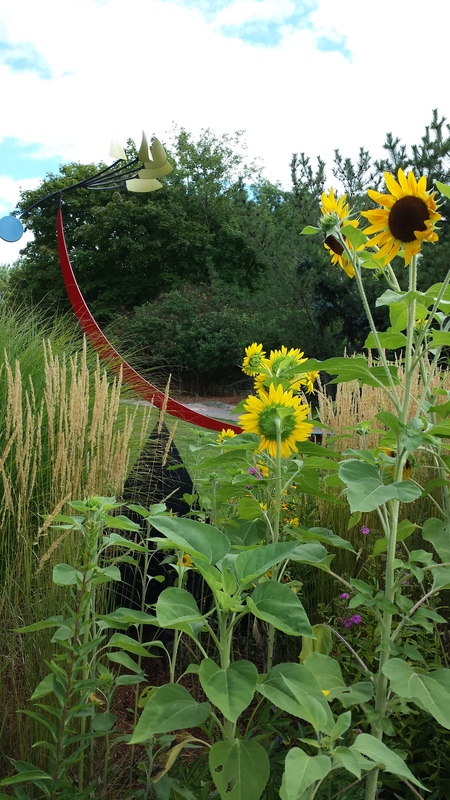 Either way, I loved the way it was framed by the sunflowers and grasses.